PiS MP Grzegorz Janik asked Ministry of Energy if it would be possible for Kompania Weglowa to cover its liabilities in coal. With almost 6m Mt of unsold coal stocked on open piles and facing loss of cash flow in the following 6-7 weeks Janik’s plan sounds reasonable. For KW. On Thursday 10th March minister Krzysztof Tchorzewski replied, that so far all the payments are paid with money, but delayed by 120-150 days. Tchorzewski said also that settling payments with coal “would lead to adverse market situation” and that “today it is not practised”. It doesn’t mean that KW does not have a history of such barter deals. Two years ago there was a bit tense situation in Katowice, when Kompania Weglowa, unable to cover its liabilities towards Kopex (mining machinery) turned to bartering and paid with coal (back then there was even more coal on piles, approx. 8m Mt). Trying to dispose of its coal assets, Kopex was looking for external buyers, particularly on the Scandinavian market. 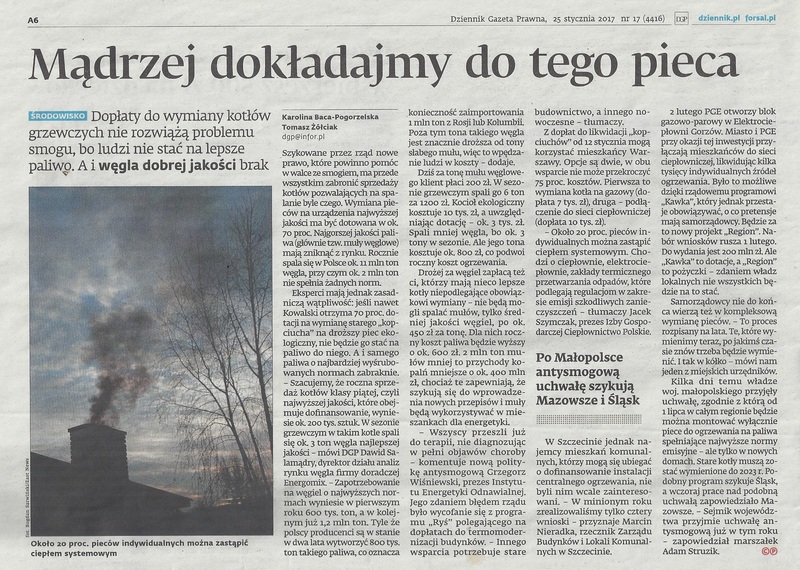 This situation irritated Weglokoks, not only because till then they were exclusive exporter of KW’s coal, but also because of the importance of Scandinavian market in Weglokoks portfolio. It is highly possible that the barter deals will return this summer. With today’s overproduction and decrease of demand (especially on the domestic market), if KW will pay Kopex and other creditors with coal, it will put them in even bigger troubles. More than ever, today Kopex has many reasons to be worried for their bad debts from coal producers. A year ago the total debt from the mining industry reached 170-180m PLN and many of these liabilities were getting expired. According to the plan for Polska Grupa Gornicza, 11 mines and 4 facilities will be moved to Weglokoks Group, but the “legacy” will stay in Kompania Weglowa, which is pretty similar to the situation from 2003, when KW was first established. Back then the new entity was shining bright, and the dues were transferred to some fly-by-night companies.